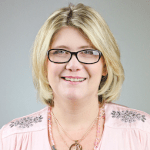 This is a guest post from my friend, Rachel Allan – marketing consultant, author and mum. Rachel has been balancing running her business, leading community groups and mothering her daughter, Sophie, for the last five and a half years – a feat I am in awe of. She has now written a book about her journey, sharing tips and strategies for other mums on the same path. Here she shares advice on how she handled her toughest days. When a mother of five children ranging in ages from 30 down to 12 tells you that it is tough but it gets better you know that day-by-day it will get easier. Sometimes it is hard to see that it will get better, it is hard to see that there is good in every situation. That day-by-day you are learning and one day you will look back and see the good things, if you have taken the time to enjoy those moments. There have been many days in the last 5 and a half years where I have wanted to run away and join the circus. Times when demands from clients, family, friends and my baby have felt way too much. When I have been giving so much to everyone else and not getting anything back in return. Worse I was so busy giving to everyone that I forgot to enjoy the little moments with my baby. My baby is now a big school girl – I love her like nothing else I have ever loved – there are times I wish we could go back to the days of cuddling on the couch and I could simply enjoy it. To be in that moment in my body and my mind – not thinking of the 20,000 other things I thought I should have been doing. I wish I had slowed my business down – not thought that I could continue doing everything I had pre-baby, plus more. There is nothing like a baby and a child to give perspective on life. To reset your priorities. For me, my business priorities have shifted dramatically. I have removed things from my life that do not make me money or give me satisfaction. I spend time with people who are good for both my family and myself. I have made the changes today that I should have made when Sophie was born. It didn’t happen overnight – it 18 months of living in a pressure cooker and two years of stripping away ‘stuff’ for me to get to where I am today. Here is the thing though – I could have been in this place quicker if I had been better prepared to be a mum AND a business owner. Here is my breakthrough advice – it is possible to choose to put your business in maintenance mode after you have a baby. To focus on the core parts of your business (those things that make you money) and to make it easier for you to keep operating on those parts of your business. Network with like minded people who respect that you are a business owner AND mum and accept your baby attachment! This is your life and it is your business – there is no right or wrong way to do things. Be a business owner and dare to do it a little differently. Be a mum that is present with your baby and children. Do not feel judgement, understand that at that moment in time you are doing the best that you can. Enjoy the life that you are designing. 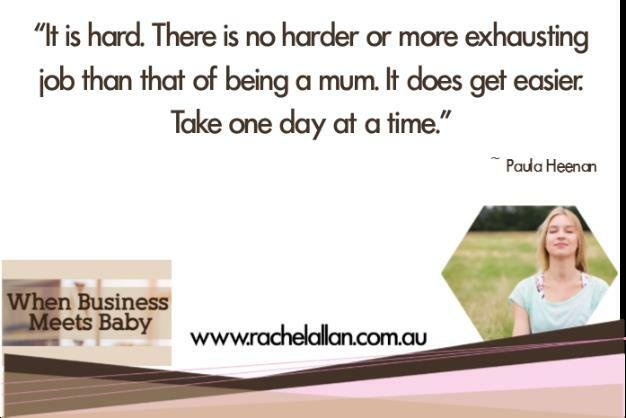 Rachel Allan has been a business owner for 12 years, and a mum for 5½ years. On her business-and-baby journey she has learned a lot about life, business and herself. While it has not always been an easy ride, it has definitely been fulfilling. She feels a strong calling to share her discoveries (and the wisdom of other parents and experts) with you in this new book, When Business Meets Baby. Rachel’s inspiration is vibrant 5½-year-old daughter Sophie, who has her own busy little life with school, dancing and swimming. Rachel is honoured to be Sophie’s mum, and she is also an author, integrated marketer, entrepreneur and property investor. From 2007 she has shared her journey with her business and life partner Craig.